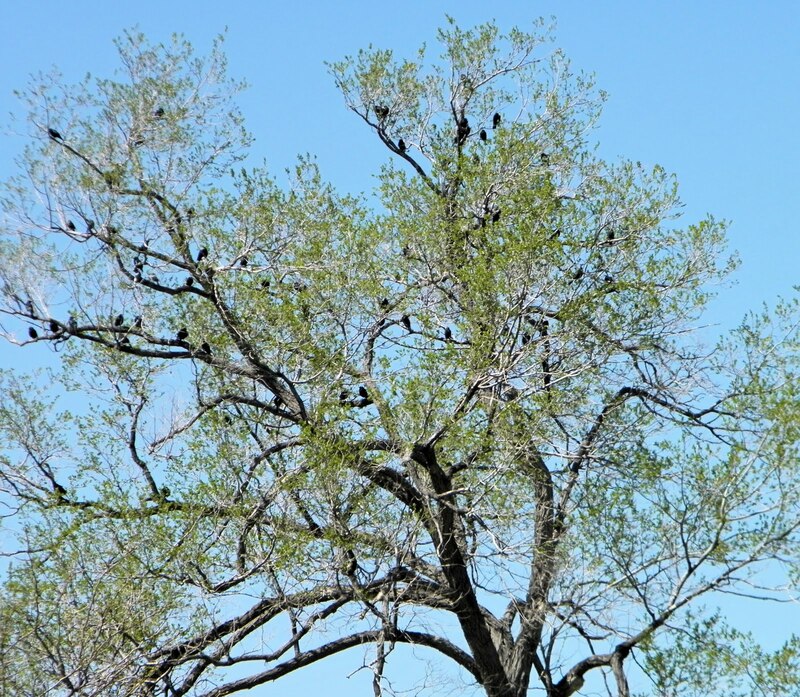 Starlings in a tree in Los Alamos. I used a telephoto setting and couldn't get closer without them flying away. There are so many of them! Nice shot.